First of all I would like to introduce myself. I am a born Bihari (Indian). Today I got very offended after reading your interview in WSJ wherein you quoted " that few would’ve turned up had the festival taken place in Patna". As a Bihari and also a resident of Patna, I would like to ask you on what basis you are spreading such a negative image of Patna? Bihar & Patna is already suffering from a negative image due to biased Indian media and on the top of that such statement from a Historian and writer of your repute does no good to this image but having an incremental impact on the bad perception. Few year back ( in 2007) also you had given similar statement in Financial Times London regarding Bihar wherein you has given a statement which was about an election in Bihar at a time when there was no election in Bihar. It was extremely negative right from the word go, associating certain reprehensible practices which are culturally far more likely to happen in other states than Bihar. Some of our fellows Biharis had communicated their apprehensions to you at that time also and you had assured that you will not try to propagate a negative and biased opinion about Bihar any further. But alas, you did it again this time, and that too without any solid reason. Did you try ever to organise any such thing in PATNA in Bihar? then on what basis such an opinion? 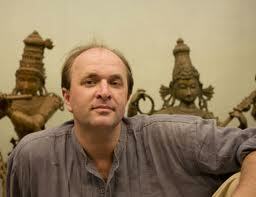 Let me invite you to come to Bihar to get a first hand feel of Bihar/Bihari and our hospitality, culture and warmth. I guarantee that you will be surprised and bowled over. We are planning to Organize several big festival ( Mahotsava as it is called in HINDI) for example Rajgir Mahotsava, Gaya Mahotsava, Dasrath Manjhi Love Mahotsava, Nalanda Mahotsava, Vikramshila Mahotsava, Patliputra Mahotsava and many more). The reason for sending this message are not only to communicate to you that we as Biharis are hurt by your irresponsibly statement in international media but also to invite you to have a first hand experience of Bihar so that you can form a more objective and correct opinion about Bihar. I also read your clarification that you Love Bihar and hence this invitation to the cause of Bihar. Hope you will reply back or help Bihar rather than only curse and criticize. Press Release: Launch of Daily Pilgrimage Service to The Footsteps of Buddha. Bodhgaya is an international Tourist place and there is a big need to have a safe and comfortable pilgrimage to the footsteps of Buddha – primarily the places in Rajgir and Nalanda. Pilgrims have always looked for a complete solution, which takes care of all their needs. It is a welcome service started by Bodhgaya Temple Management Committee (BTMC) to commemorate 2600th years of Buddha’s enlightenment and it is non-profit in nature. Includes Breakfast, traditional lunch and evening snacks and tea. Includes Ticket charges of Ropeway, Venuvan, Nalanda Ruins, Xuan Xang Memorial and Nalanda and Bodhgaya Multimedia Museum. Initial Launch Offer – Rs 750/pax. Pilgrims from countries other than Saarc and Bimstec countries would be charged Rs 200 more due to differential entry fees at Nalanda ruins, Xuan Xang Memorial and Venu Van. 7AM – Departure from Bodhgaya from the parking lot opposite BTMC. Packed Breakfast will be served onboard. Departure from Venuvan at 5.00PM and arrive at Bodhgaya at 7:30PM. Bihar is the heart, mind and soul of India and Asia. 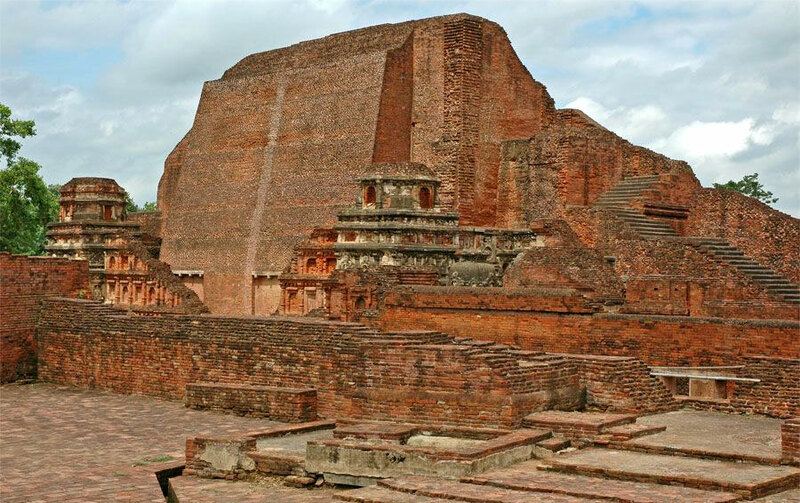 Yoga,Kamasutra, Surgery, Buddha, Mahavira, Guru Gobind Singh were sons of Bihar and Nalanda University is world's greatest and oldest institutions (destroyed and needs reconstruction). Please help Bihar in the quest to reclaim the position as a seat of learning, research and Asian renaissance. All locations are based at Daudnagar in Aurangabad District. We need an agri graduate to provide extension services to the farmer club members in Daudnagar, Haspura, Obra, Goh etc blocks of Aurangabad District. Its a team leader profile with a team of 10 persons working with farmers in instiution building, sales, marketing and procurement. Besides, we need field officer with good hindi writing ability and decent english reading persons with either matric or intermediate as academic calculation. We need 5 persons to begin with. The requirements are immediate.